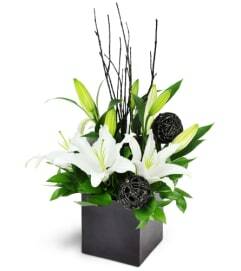 “Well done!” “Bravo!” “Congratulations!” Offer your compliments to someone who has recently achieved a big honor or accomplishment. 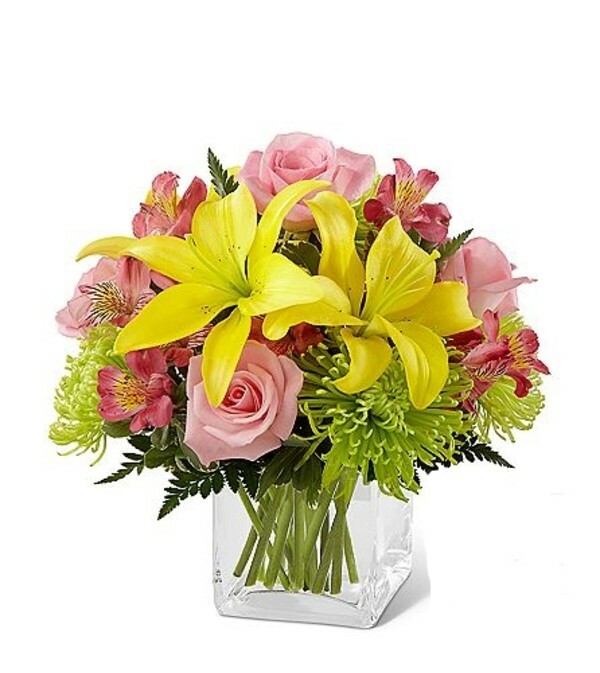 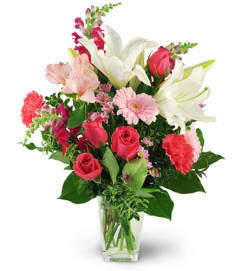 Perfect for a graduation, or another special event, this bouquet combines pink roses and Peruvian lilies, green Fuji chrysanthemums, yellow Asiatic lilies and fresh greenery in a glass cube vase. 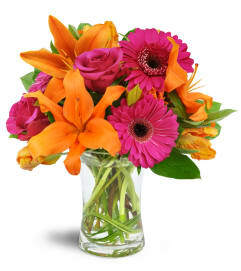 This colorful arrangement is perfect for celebrating any one of life’s joyful occasions.